© California Cooler Co. Stockton, Ca. The Kentucky Derby Festival is an annual festival held in Louisville, Kentucky during the two weeks preceding the first Saturday in May, the day of the Kentucky Derby. The Kentucky Derby is a premiere horse race and the first leg of the Triple Crown. 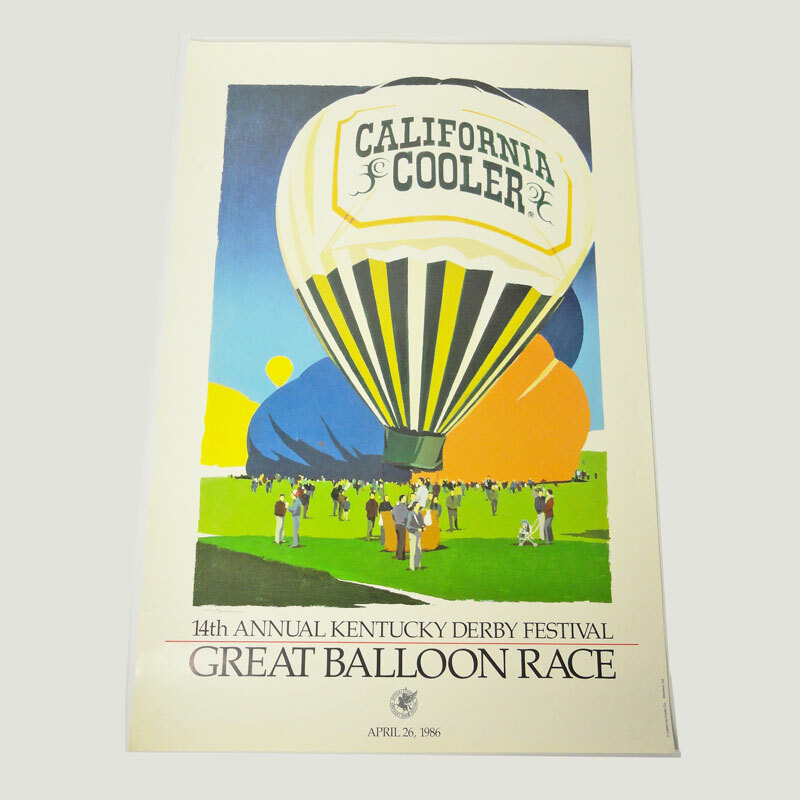 The festival, Kentucky's largest single annual event, first ran from 1935 to 1937 when it had to stop because of the massive flooding. Restarted in 1956 it now includes many events including, but not limited to, the Great Balloon Race and Thunder over Louisville the largest fireworks display in North America.